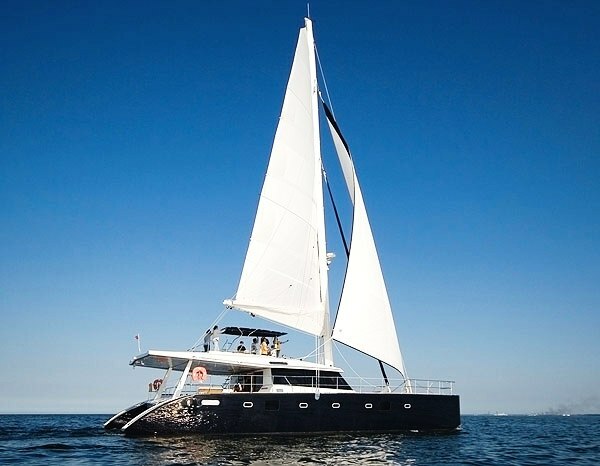 Luxury catamaran SOON COME (ex LA LUNA) was built by Sunreef in 2006. 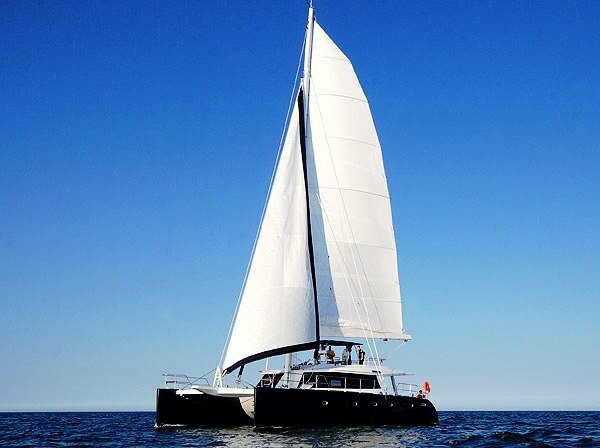 S/Y SOON COME is 18.90m (62’) in length with a generous 30 ft beam and features an elegant design offering her guests plenty of room to relax in both indoor and outdoor areas. 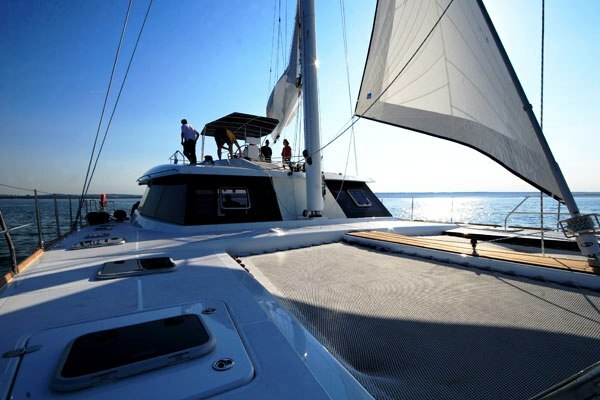 Charter catamaran SOON COME is available for luxury yacht charters in the Mediterranean and in the Caribbean. 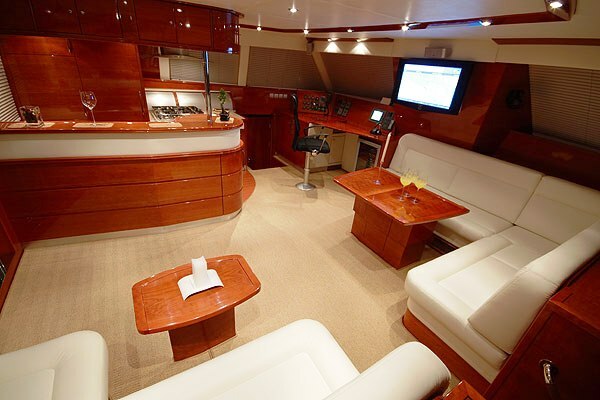 Sailing yacht SOON COME (ex LA LUNA) has a stylish and modern interior finished in high gloss wood and white leather upholstery. 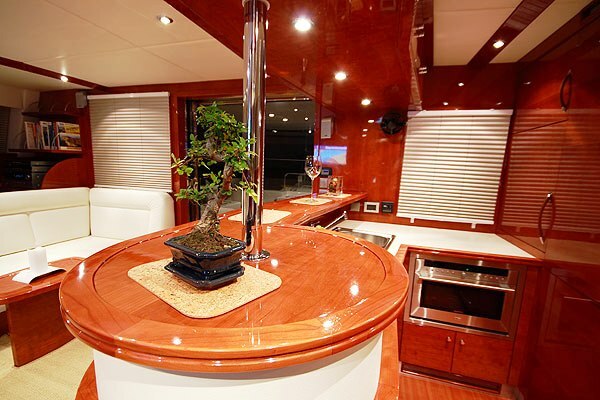 Her interior is simple and uncluttered and invites guest to make themselves at home. 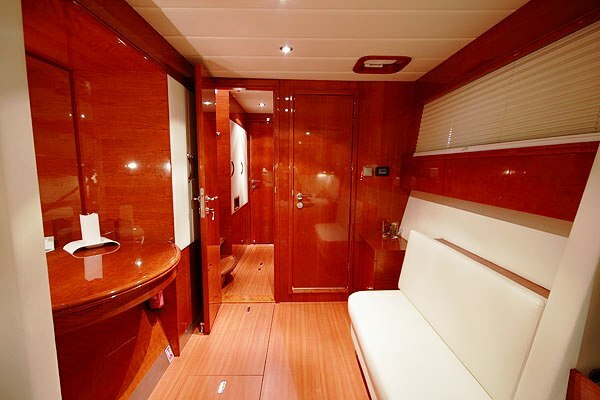 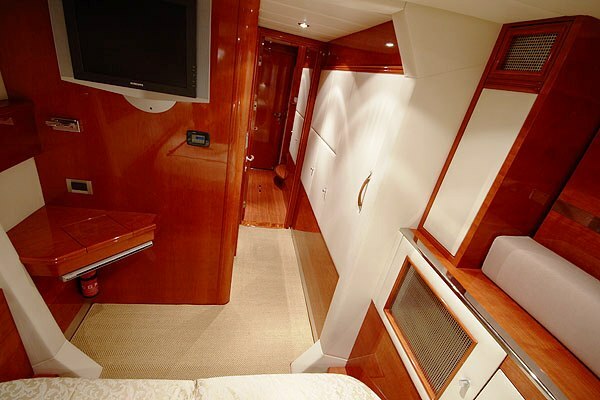 She can comfortably accommodate up to 8 guests in 4 double cabins with en suite bathrooms and separate showers. 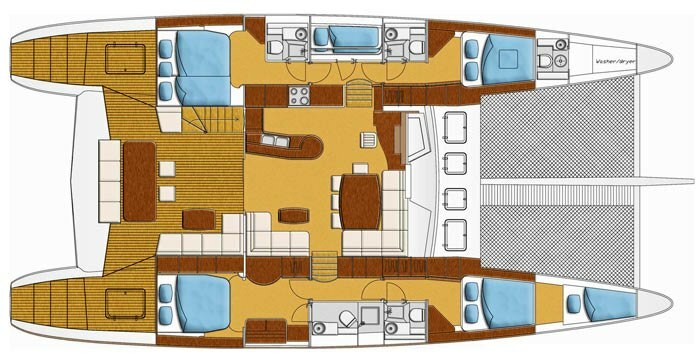 The deck areas onboard Sunreef cat SOON COME are spacious and the design has made the most of her 62ft by adding a fly bridge that opens up the cockpit area and gives the guest another deck to enjoy the panoramic views while under way. 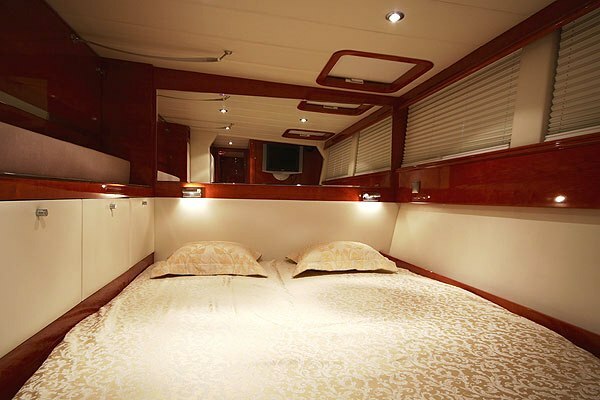 Another favorite spot is on the spacious foredeck where guests can lounge on the trampolines Underwater lights are another special feature for guests to enjoy at anchor each night. 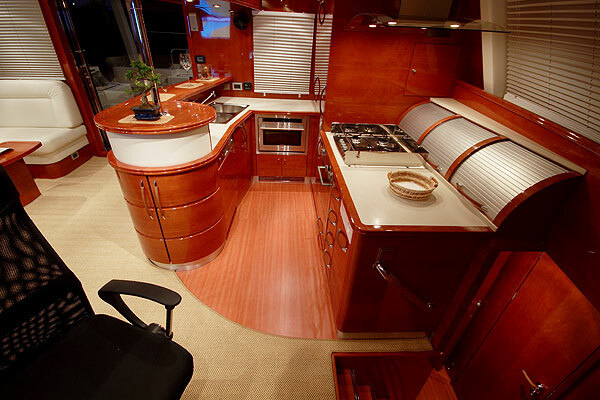 Guest’s onboard sailing yacht SOON COME can enjoy meals prepared in the state of the art Galley either inside or on the spacious aft deck which has protection from the sun and elements thanks to the hard top roof. 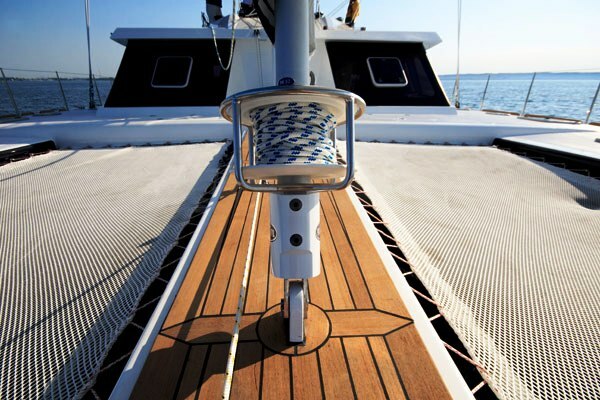 S/Y SOON COME has a crew of 2 who are ready to welcome you on board! 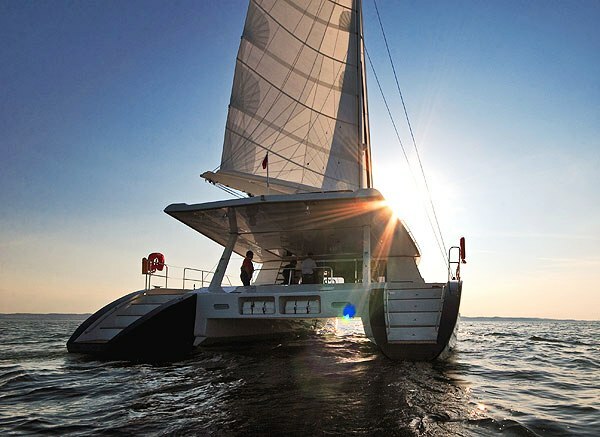 Luxury Sunreef Catamaran SOON COME can comfortably accommodate up to 8 guests in 4 double cabins with en suite bathrooms and separate showers. 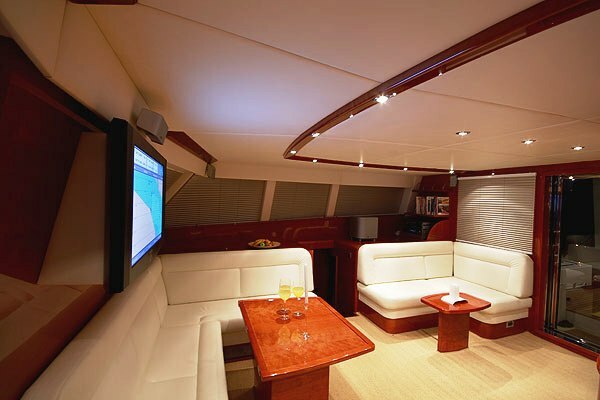 Please contact the CharterWorld team for information on sailing yacht SOON COME’s luxury yacht charter amenities and extras.